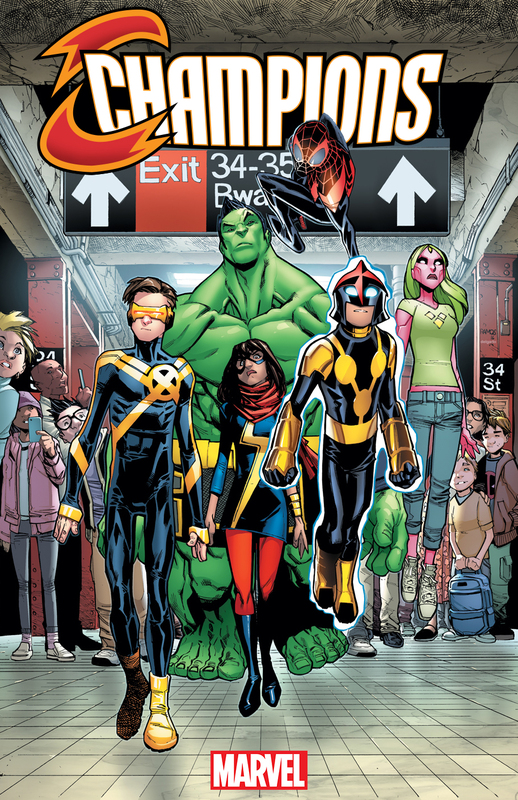 The Geektified Blog: Brand New Series from Marvel Comics: CHAMPIONS #1! 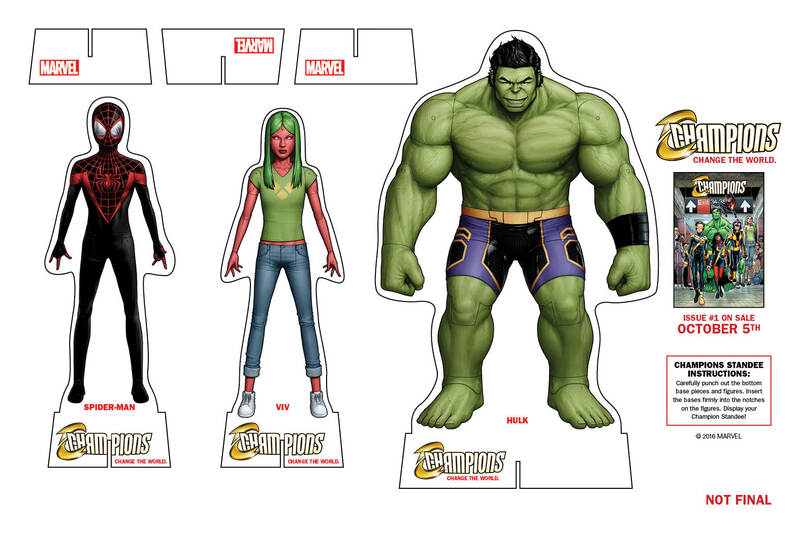 Brand New Series from Marvel Comics: CHAMPIONS #1! 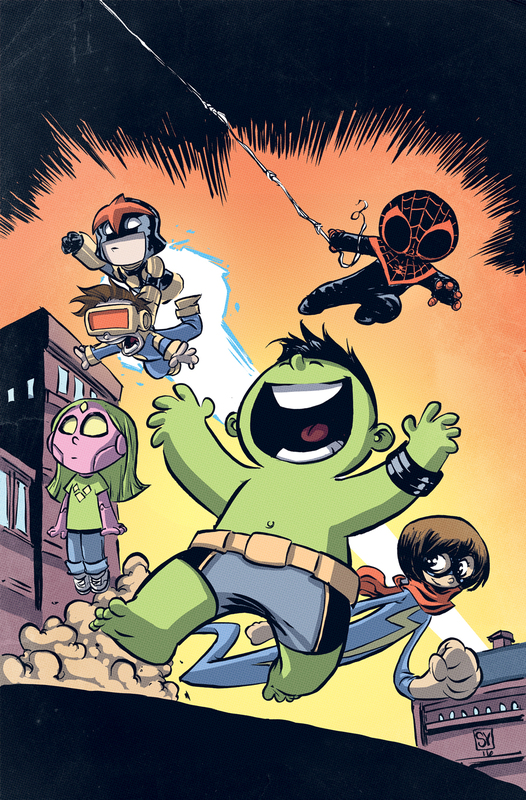 Bring Marvel’s Newest Super Team to Comic Shops! New York, NY—August 4th, 2016 — The Marvel Universe is fractured. Heroes, who once stood together, now position themselves in opposition to one another. The next generation of heroes are fed up! It’s time for a change. It’s time for a brighter tomorrow. Enter...the CHAMPIONS! Six determined young heroes out to change the world They’re coming to you in Marvel’s CHAMPIONS #1 – a brand-new ongoing series launching this October as the flagship title of Marvel NOW! To ensure Marvel NOW! 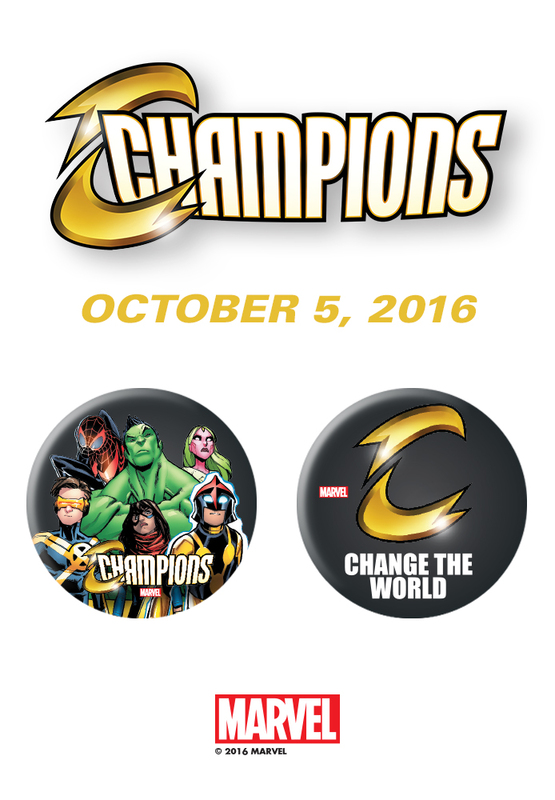 kicks off with a bang, each retailer opting in to the event will receive a Champions #1 Party Kit, containing exclusive promotional materials. Retailers are encouraged to check their Marvel Mailer for information on how to opt-in by 9/5, ensuring stores have access to these items. But that’s not all! 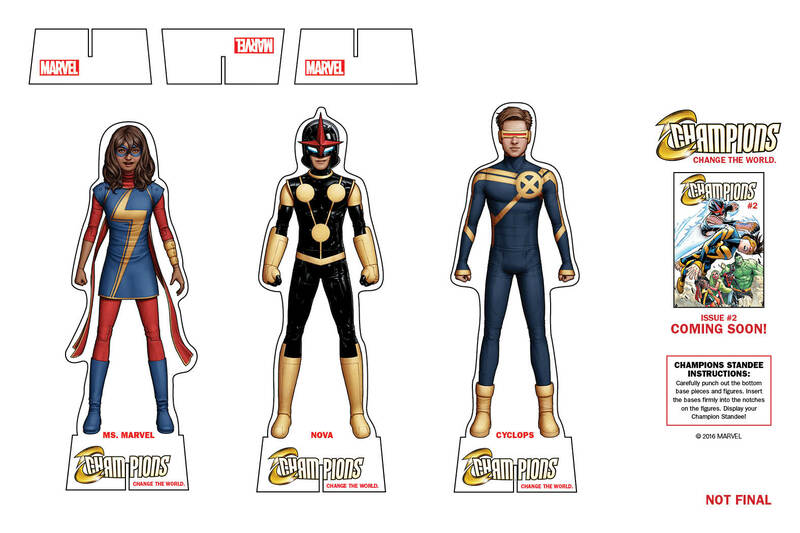 Retailers who qualify will also be eligible to order a variety of variant covers to Champions #1 – including the Champions #1 Gwenpool Party Variant. 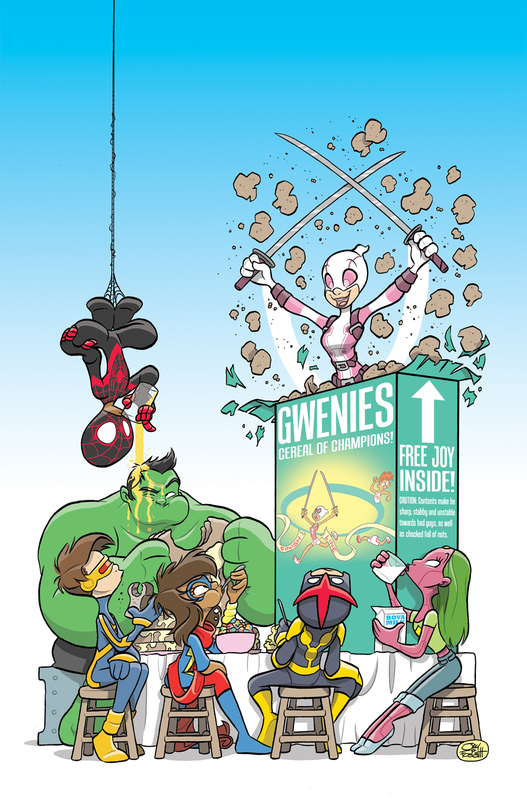 Artist Jay Fosgitt brings Gwenpool face-to-face with the Marvel Universe’s newest super team – all as part of a hearty and nutritious breakfast. This one-of-a-kind variant is only available at Marvel’s Champions #1 Launch Parties and should not be missed! 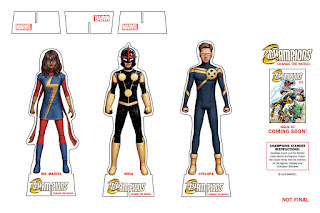 Retailers are encourages to check their Marvel Mailer or Diamond Daily for more information about Champions and Champions Launch Parties. Eisner Award winning writer Mark Waid and Eisner Award nominated artist Humberto Ramos join forces to bring you a teen team supreme that refuses to adhere to the antiquated ways of old. It’s time to be heroes again, and Ms. Marvel, Miles Morales, Nova, Cyclops, Viv Vision and the Totally Awesome Hulk are ready to answer the call. All it takes is six young heroes and you can change the world. They are the Champions – and they’re just getting started! 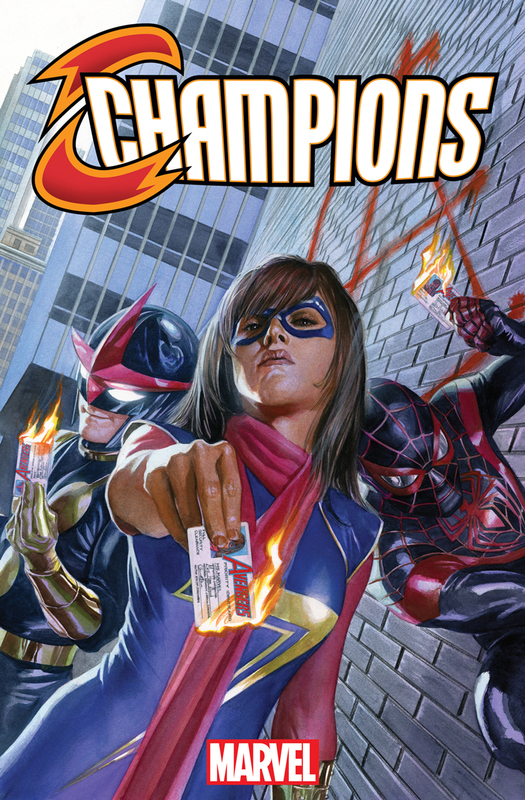 Don’t miss CHAMPIONS #1 when it comes to comic shops on October 5th!